Jim is a member of the prestigious Multi-Million Dollar Advocates Forum. Forum membership is limited to trial lawyers who have demonstrated exceptional skill, experience and excellence in advocacy by achieving a trial verdict, award or settlement of Two Million Dollars or more. Jim has also been honored as a New York “Super Lawyer”. Lawyers are selected after a rigorous research process based on 12 indicators of peer recognition and professional achievement. Jim is admitted to practice in both New York and Pennsylvania where he regularly handles all types of injury cases, car & truck crash cases, construction cases, and medical negligence cases. 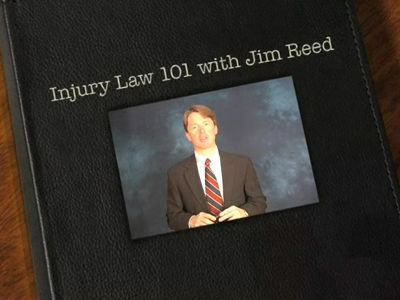 Jim limits his practice to the representation of injured persons only and does not do any insurance defense work. Jim is a member of the New York State Trial Lawyers Association, the New York Academy of Trial Lawyers and the American Association for Justice. 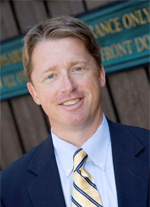 Jim has lectured frequently on law-related topics and has been published in the New York State Bar Journal, which is the largest and most prestigious legal publication in New York State. In 2008, Jim was selected to author a chapter in the New York State Bar Association treatise: Plaintiff’s Personal Injury Actions in New York. Jim is a lifelong resident of Elmira where he lives with his wife and three children. When he’s not working, Jim can often be found on his bicycle as he is an avid bicycle racer having competed in races all over the country including a 508 mile team race through Death Valley (The Furnace Creek 508) and a 540 mile race through the Cascade Mountains of Oregon (The Race Across Oregon).